This entry was posted in Uncategorized on July 27, 2013 by Deb Potts. Refining poses is one of the watchwords of our yoga practice. We are always refining, it is always a practice; never quite perfect (though our ego may tell us it is) and never quite finished. We continue to work over and over and over. I often teach this pose at the wall with a block. Students place mats along the wall, stand with left hip to the wall, about mid-way on their mat. The block is placed close to the wall, at least one foot in front of the left leg. Now, they move into the pose, standing on left leg, with left hand on block. Right leg is extended straight back, hip height, and right arm is vertical (extending up the wall). Hips and shoulders are resting comfortably on the wall. How our feet are working? Are arms extending strongly and vibrantly? What is happening to the head/neck? In our yoga practice, we all want to do our best, to be strong and flexible, yet calm. I advise students to use props-not to make the pose easier, but to make the pose better, to refine, working towards the day when a prop is not offered. The body and mind will then know the shape of the pose–where they are going, what to do–with power, flexibility, confidence and calm. All this to say, don’t ever say ‘no’ to a prop if it is offered. This entry was posted in Uncategorized on July 24, 2013 by Deb Potts. GREETINGS FROM YFL!!! This week’s theme for practice is flowing with our vital force, prana, or chi. We will be incorporating the therapeutic modality of Quigong into our yoga practice. We will also visit the 5th chakra, or Vissudha, the throat. It is the seat of communication, creativity, good listening, good rhythm and timing. This chakra will be balanced through the Vissudha Namaskar. The weekly mudra is Apan, or energy mudra, which promotes prana (chi) flow. This entry was posted in Uncategorized on July 22, 2013 by Deb Potts. We made it through another hot week with our cooling YIN practice!!! Next week we are going to go with the flow, as Deb incorporates some newly learned Quigong into the yoga practice. It is healing and transformative, so come to the mat and learn something new. This entry was posted in Uncategorized on July 19, 2013 by Deb Potts. GREETINGS FROM YFL, AND HAPPY MONDAY!!! This week we will be emphasizing the other half of yoga, which is referred to as Yin in Asian modalities, and as Sukha in Sanskrit. 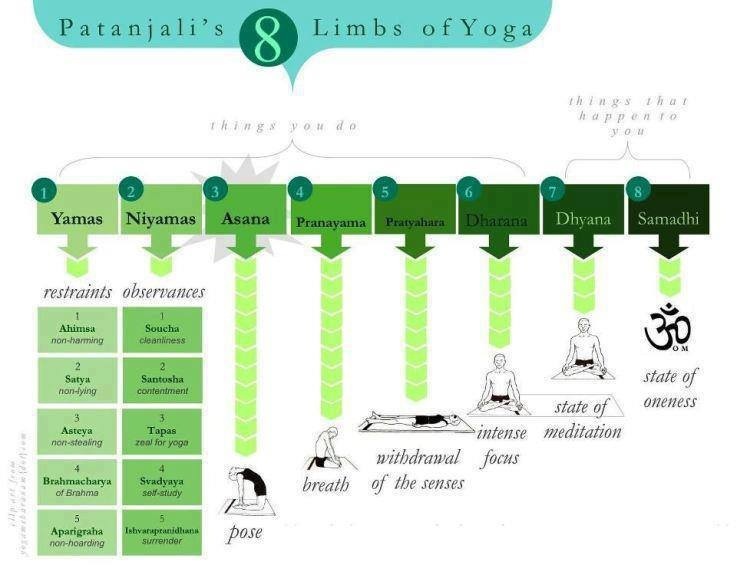 This practice brings you into a state of intense focus as prescribed in Patanjali’s 8-limbs of practice. It leads toward meditation through the deeply profound stretching of muscles, tendons, ligaments, and fascia. Yin will be preceded with a warmup via the Anahata Namaskar (Heart Salutation), which will ensure an adequate warming of the body for a safe yin practice. This week’s mudra is Shunya. It involves the bending of the middle finger to the ball of the thumb, and a light pressure application of the thumb to the finger. The remaining fingers are extended. This mudra promotes healthy hearing. Our Sanskrit focus is Anahata, or the “heart chakra”, or Unstruck Sound. It is the seat of compassion, love, and our soul. This entry was posted in Uncategorized on July 15, 2013 by Deb Potts. YIN is what’s happening next week at YFL!!! Our practice will be deeply restful, and deeply penetrating, as we stretch both muscles and connective tissues. Come in and beat the heat, and absorb all the multiple benefits of your yoga practice. We would love to see you!!! This entry was posted in Uncategorized on July 12, 2013 by Deb Potts. Greetings from YFL. This week we will be focusing on a practice that will help our sense of being grounded, and connected. The chakra salutation is the 3rd or solar plexus, Manipura, which hones in on self-confidence, and goal setting. This week’s mudra is for detoxification, and consists of placing the thumb tip at the inner edge of the 3rd joint of the ring finger on each hand. This entry was posted in Uncategorized on July 8, 2013 by Deb Potts. YFL extends best wishes for a safe and fun 4th of July!!! A reminder that we will be closed 7/4-7/6 in observance of the holiday, but will resume our normal schedule on Monday, 7/8. We look forward to seeing you on the mat next week!!! This entry was posted in Uncategorized on July 3, 2013 by Deb Potts. The July edition of the YFL newsletter should post at 10 a.m., so watch for it this morning!!! This week’s theme is sculpting, toning, and strengthening through bearing our body weight, and the use of hand weights. We will also be incorporating a dash of dancing your yoga, and the second chakra salutation, Svadhisthana, or “One’s own place”. This will also serve as our Sanskrit focus for the week. Our mudra centers upon trust and self-confidence: Vajrapradama, or gesture of unshakable trust. Interlock the fingers of both hands, and cross the hands over the chest. This mudra builds our inner strength. YFL WILL BE CLOSED FOR THE FOURTH OF JULY WEEKEND: NO CLASSES 7/4-7/6. OUR REGULAR SCHEDULE WILL RESUME ON MONDAY, 7/8. 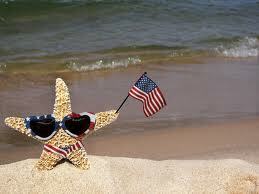 HAPPY FOURTH OF JULY!!! This entry was posted in Uncategorized on July 1, 2013 by Deb Potts.